At this morning's ceremony the Gulfstream G500 rolled out under its own power. 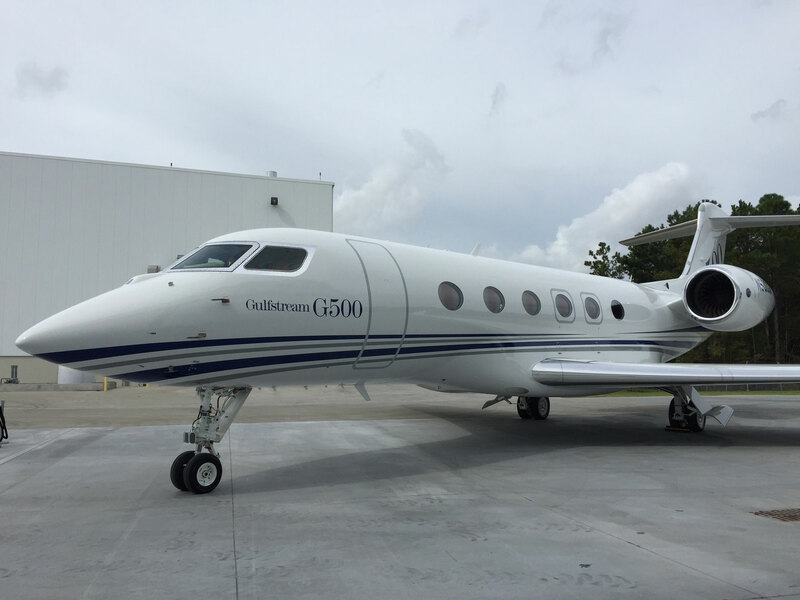 During a ceremony this morning at its Savannah, Ga. headquarters, Gulfstream Aerospace took the wraps off the new G500 and G600, which are expected to enter service in 2018 and 2019, respectively. At this morning's ceremony the G500 rolled out under its own power. Both models have a wider cabin cross-section than the G450 and G550, but not quite as wide as that of the G650. The new jets–nestled between the G450, G550 and G650–will also have more composite content than existing Gulfstreams. According to the aircraft manufacturer, the new models will deliver “unmatched high-speed range.” At a normal cruise speed of Mach 0.90, the G500 and G600 will fly 3,800 nm and 4,800 nm, respectively; at Mach 0.85, they will have a range of 5,000 nm and 6,200 nm, respectively. Each of the new large-cabin jets will be powered by a pair of Pratt & Whitney Canada PW800 turbofans–the 15,144-pound-thrust PW814GA for the G500 and the 15,680-pound-thrust PW815GA for the G600. The new aircraft also feature fly-by-wire flight control and they will be the first Gulfstreams to feature active sidestick controls. The G500/G600 flight deck, branded as Gulfstream Symmetry, is based on Honeywell’s Primus Epic suite. The first flight-test aircraft are already under construction, and the G500 is slated to fly next year, followed by the G600 in 2017. Pricing for the first 50 serial numbers has been set at $43.5 million for the G500 and $54.5 million for the G600.